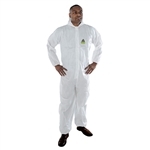 Working with dangerous chemicals and materials is a necessity in many lines of work, so it is important to take care in protecting your body against hazards and accidents that may occur. 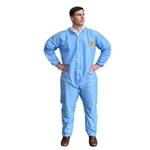 Whether you’re looking for disposable coveralls for spraying pesticides or looking for a wide selection of flame retardant clothing, you’ll find a variety of safety clothing items here at Industrial Safety Equipment that are sure to meet the needs of your job. 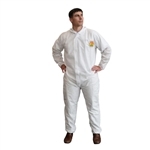 Prevent pesky spray paint from staining your clothes when you use the DuPont Tyvek coveralls, or shop our durable high visibility clothing to make sure you’re seen on the job site. 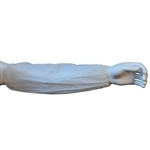 Regardless of your job description or the task at hand, our selection of disposable clothing is designed especially for keeping you away from the grasp of harmful chemicals and contaminants. 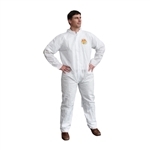 Whether you’re doing some house painting or taking care of landscaping work in the rain, you’ll be glad you ordered protective clothing from Industrial Safety Equipment! 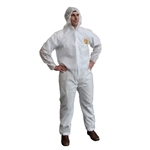 Cordova Defender II Disposable Shoe Cover (MPSCL), Universal Size.